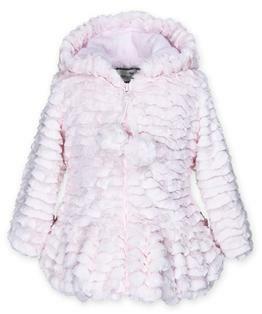 Soft scalloped faux fur coat with sweet pompoms hanging from the zipper close. Sweet flounce details for girly twirls. 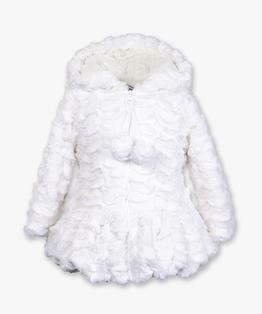 Lined with more fur for extra warmth and softness. Zipper with hood. 100% polyester. Imported. Sizes from 6 months to 6X.